If you’re on this page, chances are you need the services of a local plumbing contractor. Michael J. Messick Plumbing, Heating, & Air is a local plumber with more than 30 years’ experience serving the plumbing needs of both residential and commercial customers. We handle repairs, replacement, maintenance, and new installs of your plumbing, heating and air conditioning. Many homeowners and businesses find advantages to working with local contractors for their service needs. Quicker response times and familiarity with building codes and permit processes are just two of these advantages. Michael J. Messick Plumbing knows the area it has serviced for more than three decades. Our plumbers know the unique characteristics of the local terrain, climate and water conditions – all of which can impact your building’s plumbing. For added peace of mind, all of our plumbers are fully licensed, bonded and insured. Michael J. Messick Plumbing is the local plumber for all your plumbing needs. 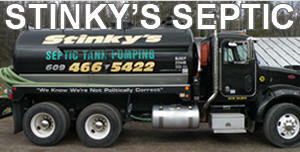 We are a local full-service plumber offering same-day service on most plumbing issues. It is our goal to diagnose your problem and repair it – all in one day when possible. 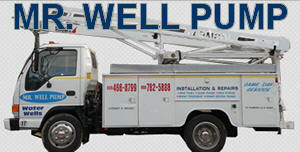 Our professional technicians have the experience and know-how to do the job right the first time. We stock our trucks with a broad selection of major brand plumbing supplies so in most cases there is no lost time waiting for parts. Our emergency operator is on-call 24/7 to respond to your plumbing emergencies whenever they arise, day or night. We understand that the longer plumbing problems go unaddressed, the bigger they get. It is our goal to address your plumbing emergency quickly and efficiently before they get out of hand. Don’t wait for an emergency to address your plumbing needs. At Michael J. Messick Plumbing, Heating & Air no job is too small. From leaky faucets and clogged drains to home remodeling and renovation projects, our goal is to provide you with high quality plumbing throughout your home or building. Our maintenance services are designed to prevent problems before they arise. Whether you need help winterizing your pipes and supply lines, installing a new sink or toilet, hooking up appliances, or repairing broken pipes, our professional plumbers will provide prompt, efficient attention to your job. Michael J. Messick Plumbing, Heating & Air – plumbing services done right the first time!